Although it is leaner and has a richer flavor, cooking pheasant isn’t unlike cooking chicken. Farm-raised pheasant has a milder, more delicate flavor than its wild counterpart, which often has a stronger, somewhat gamy flavor. No matter how you cook it, make sure its internal temperature is at least 160 degrees Fahrenheit before you serve it by inserting an instant-read thermometer in the meatiest part of the breast of thigh. Choose a young pheasant for roasting; older birds typically have leaner flesh that may dry out with dry heat. Roast it unstuffed with aromatic vegetables and herbs, or fill the cavity with a traditional sausage or chestnut stuffing, wild rice and cranberries, or your favorite type of stuffing. Preheat your oven to 400 F, reducing the heat to 350 F after you put the pheasant in the oven. Roast stuffed pheasant for 25 to 30 minutes per pound, or until the stuffing reaches an internal temperature of 165 F or higher. 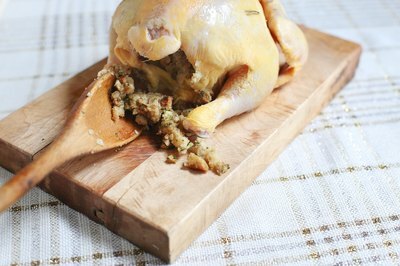 Unstuffed birds usually take 20 to 25 minutes per pound. Braising is a moist-heat method that builds rich flavor while keeping the meat tender and juicy. Use a heavy-bottomed, oven-safe pot such as a Dutch oven, and sear the pheasant for a few minutes per side, until it's deeply golden. Remove the pheasant and set it aside. 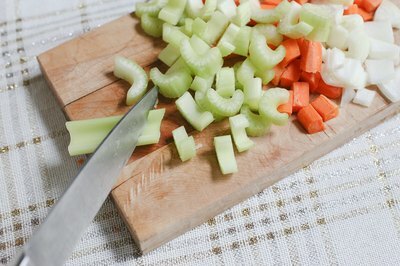 Add chopped vegetables such as shallots or onions, celery, carrots, mushrooms and garlic. Cook the veggies until they’re golden. Deglaze the pot by adding a braising liquid such as wine or stock. Stir to release any bits from the bottom of the pot and return the pheasant back to the pot. Bring it to a simmer, cover the pot and continue cooking it in an oven that's been preheated to 325 F.
Although you can grill a whole pheasant, breaking the bird down into pieces such as bone-in breasts and legs makes the grilling process faster, easier and not entirely unlike grilling chicken. Marinate it for at least six hours to tenderize the meat and reduce gaminess. Another way to prevent the lean meat from drying out is to wrap it in bacon or pancetta. Preheat the grill to medium and grill the pheasant over direct heat for approximately 20 to 40 minutes. Grill it over indirect heat for 1 to 2 hours. To set the grill up for indirect cooking, light only the front and back burner of a three-burner gas grill or push the hot coals to the side of a charcoal grill. Cook the meat over the meat over the unlit portion. The low, moist heat of the slow cooker keeps pheasant from drying out. Season the pheasant according to taste; keep it simple with plain salt and pepper, or amp up the flavor with onions, garlic and herbs such as fresh parsley, thyme, oregano or rosemary. 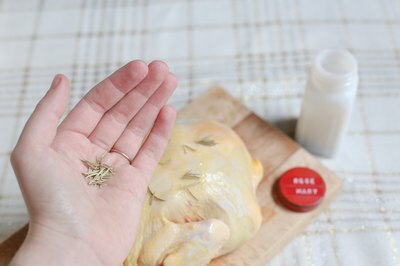 Place the herbs in the cavity of a whole pheasant or chop them and sprinkle over pheasant parts. Add the bird to the slow cooker along with liquid such as wine or broth and some freshly squeezed citrus juice. In general, 1/4 to 1/2 cup of liquid is enough for a 2- to 3-pound bird. 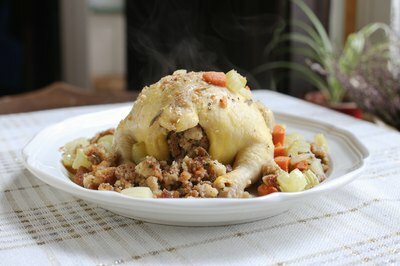 Cover the slow cooker and cook the pheasant on high for 3 1/2 to 4 1/2 hours. America's Favorite Wild Game Recipes; Creative Publishing International, Inc.